C. C. Hanley MOLLY B.
MOLLY B. is a special boat with a rich history and lots of character. One of her many interesting traits is the reverse rake in the stem that was signature of many of C.C Hanley’s designs. 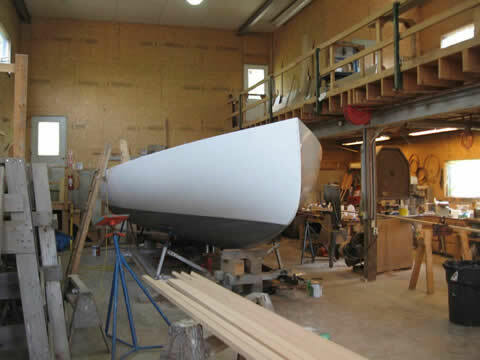 We have been undertaking a thorough restoration of MOLLY B. in stages since 2009. 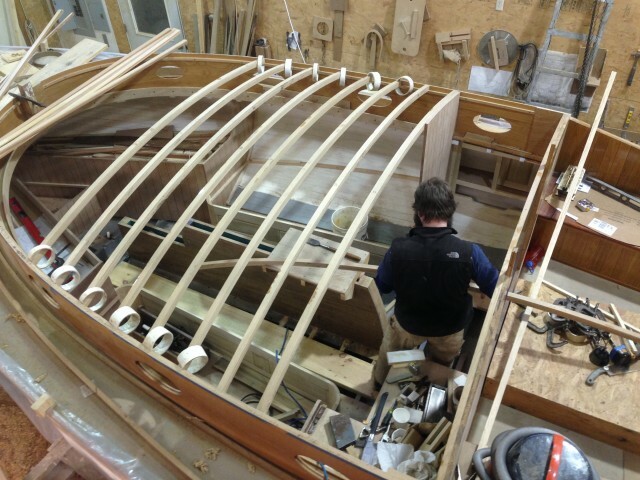 In this stage we will bring her nearly to completion, save only some interior joinery, trim and finish. Look for her on Eggemoggin Reach this summer, she’ll be hard to miss! 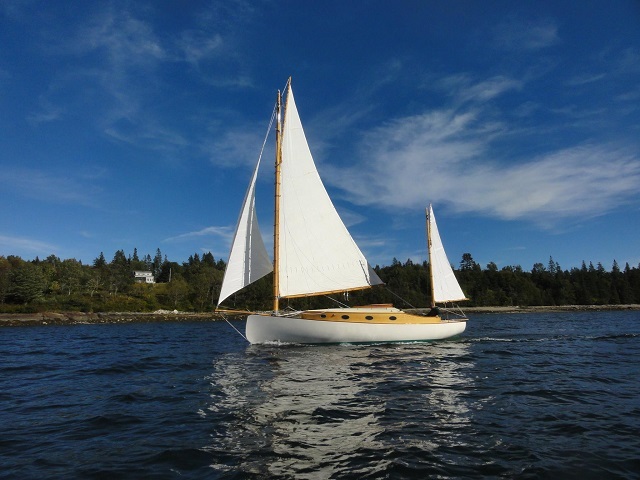 Tom Jackson wrote about MOLLY B. in the “Around the Yards” section of the Sept/Oct 2016 issue of WoodenBoat. 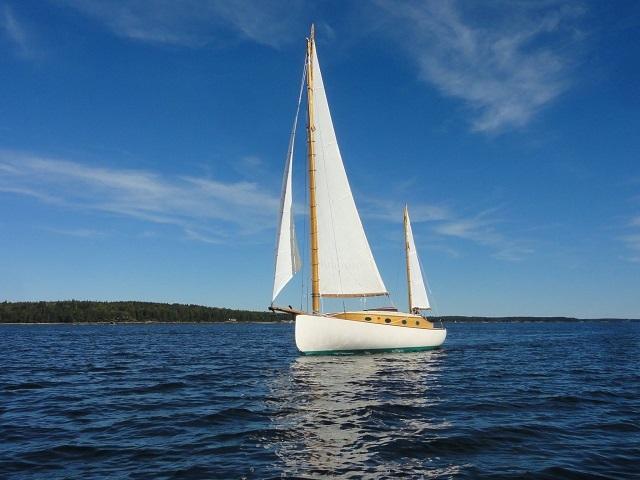 Stephen Rappaport’s article in the Ellsworth American about the relaunch of MOLLY B. is entitled Historic old catboat gets new cast of characters. 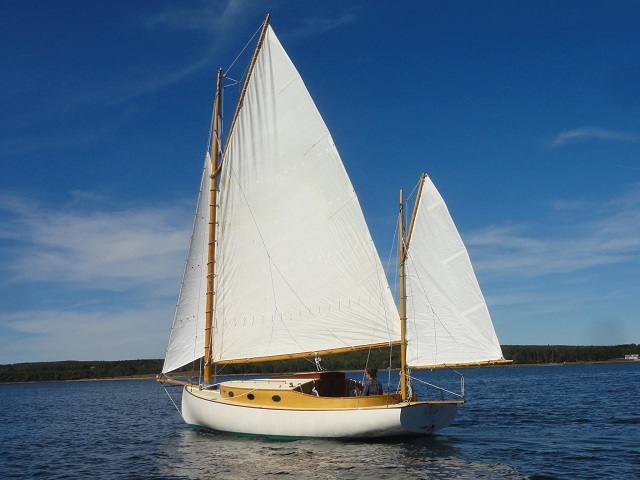 Ellery Brown discusses the complete restoration of MOLLY B. and similar “basket cases” that are eminently worthy of restoration in The Case for the “Basket Case” in Maine Boats, Homes and Harbors 145.